The problem of untreated pressure ulcers is becoming an increasing concern for nursing homes across the country as facilities refuse to invest properly in the staff and programs required for their prevention and treatment. The Albany bedsore injury attorneys of Nursing Home Law Center LLC find it appalling that many of the for profits in the nursing industry are more concerned with reducing their overhead than providing very basic care to their residents. When considering how easy it is to avert the problem, there is simply no excuse for why any resident should suffer an advanced stage sore which requires emergency intervention. The city of Albany is the capital of New York and its fifth largest municipality, with a population of just under 98,500. It is home to numerous Fortune 500 companies that drive the economy such as American Express, Merrill Lynch, Verizon, Goldman Sachs, Key Bank and General Electric. The people of Albany are diverse in age and race; seniors represent 11.1% of the total. With many residents over the age of 50 preparing for their retirement, there is a growing need in Albany for senior services which is being met with 27 different area nursing facilities and the Senior Services of Albany, which provides programs tailored to the needs of older individuals. These services range from helping seniors file their taxes and handle legal documents to providing warm meals and transportation to those who require assistance but still want to maintain their independence. 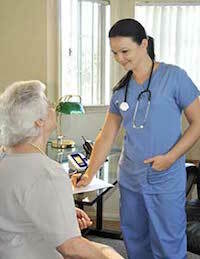 For more information about the Senior Services of Albany, you can visit http://seniorservicesofalbany.com/. Of the 27 nursing facilities serving the area, only four of them have received perfect grades from Medicare. This makes it all the more important to thoroughly vet a nursing facility before trusting the wellbeing of your loved one to its care. Our Albany pressure sore lawyers recommend using the nursing home compare tool provided by Medicare to eliminate the homes with poor histories from your search and to obtain important information about the facilities that you are considering more heavily. The grades provided assess how well the facilities have performed on health inspections, the ability of their staffs to meet the needs of patients and whether they have been cited, fined or denied payments over the last three years. To use the tool, visit https://www.medicare.gov/nursinghomecompare. Aside from a small number of exceptions, most pressure ulcers are completely preventable. They occur when pressure from the weight of a patient’s body pressing down on his or her joints cuts off blood flow to the areas surrounding the affected joints. Over hours and days, the skin and muscle tissue begins to die and, if left unabated for too long, the sore can cause tissue death all the way to the bone. Early stage bedsores are very easy to treat and only require monitoring, routine position readjustment and the application of medications that promote healing and ward off infection. Understaffed nursing homes see an extraordinary number of pressure ulcers because staff members are forced to commit their time to more pressing concerns first while ignoring the patients without an immediate need. Unfortunately, this is what contributes to excruciatingly and deadly advanced stage sores. It is difficult to fathom how caregivers can fail to notice when a patient is suffering from an open and rotting wound if they are paying attention to their patients’ needs. While we can understand and even forgive the development of minor sores, for nursing staff to allow sores to advance to these later stages is reprehensible. Nursing Home Law Center LLC has made it our mission to ensure that nobody is forced to suffer silently and without justice. If your loved one has endured the pain and agony of an advanced pressure ulcer, we invite you to contact us so that one of our award winning Albany bedsore injury attorneys can get to work on your behalf. We guarantee that our services will be free of charge if we are unable to secure damages in your favor.